It’s typical. Since my poncho arrived from new November Rain to review it hasn’t rained. I know unbelievable for British weather. It has been relatively dry (during the day at least) for over a week now! Plenty of wind mind – the March wind does blow! “April showers bring May flowers” or so the song says. In early spring, as the jet stream starts to move northwards towards the UK, it brings with it strong winds and rain from the Atlantic. As we all know in one day the weather can change from springtime sunshine to winter sleet and snow – however, with my new Poncho, I’ll be ready for it this year! Anyway enough of a lack of rain – can’t believe I’m actually saying that – and back to the Poncho. The November Rain poncho has just become available in this country and its looks so pretty, is seriously stylish and a compact size making it easy to fit into the bottom of a pushchair or the boot of a car, or in with your camping or festival gear, making sure you are never caught out again in the rain. The design I was sent to try was Oriental Bird but also comes in Ocean and Tribe designs. When I first tried it on my youngest son laughed and said ‘it’s got no arms’ but that’s the best bit. When I’m caught out in the rain in a spring or summer rain shower, and especially when the boys were younger, I really could have done with a poncho. 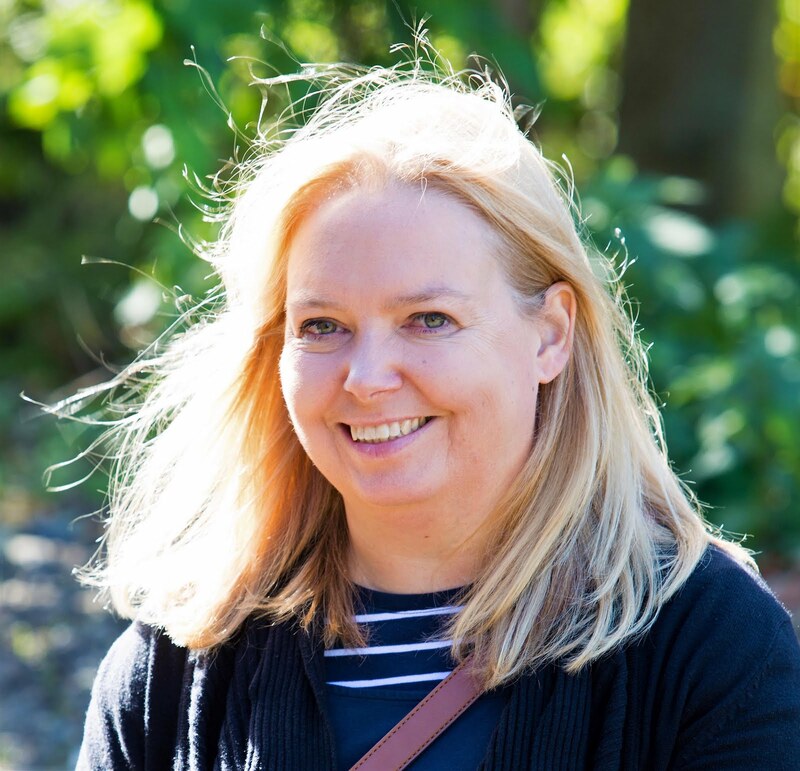 Something that protects you and your clothing from the wet and windy elements, is easily fitted over backpacks, changing bags and slings without having to take clothing off to keep dry, whilst enabling you to keep hold of your little one's hands. It is a lightweight (weighs just 1lb), but heavy duty cape style waterproof. It is compact – folding easily into the 8” x5” pouch (supplied). The luxurious Satin material is 100% Polyester/PVC lining. It has strong waterproof backing with heat sealed seams and the polyester fabric is soft to the touch yet completely waterproof. It also has a full-length heavy duty zip making it easy to take off and on. No struggling to pull the poncho over your head. It is made to last and comes with a lifetime warranty! It is a cape. The length, from the back of neck to the base is 34", and the sleeve length, from neck to cuff, is 28". 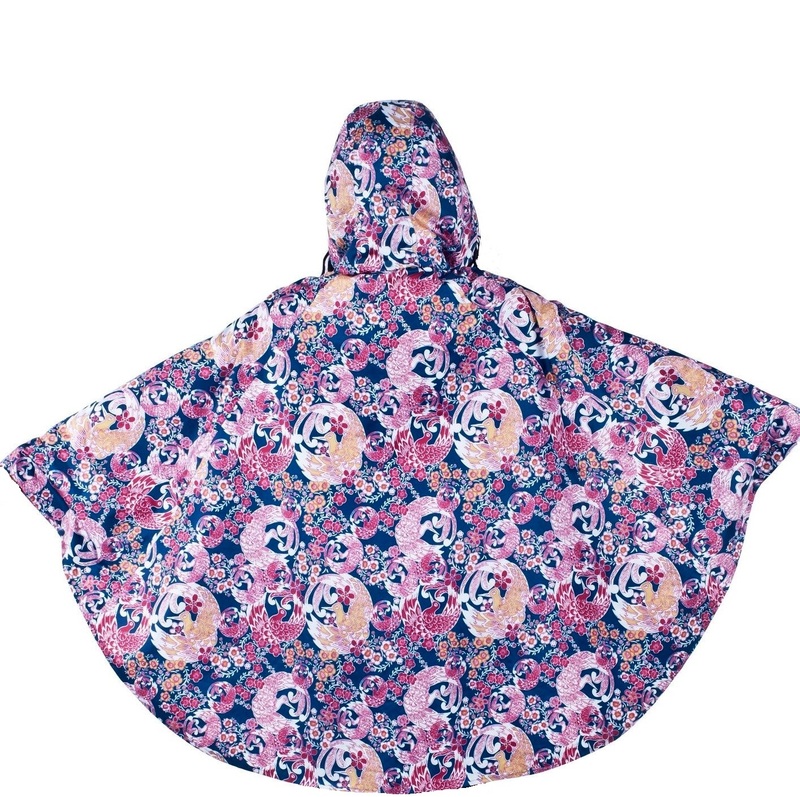 It comes in a generous one size, fitting any shape or figure so the poncho can be worn over an overcoat or a backpack. The detachable hood is also generous meaning it will fit over a hat or beanie. It also comes in three colours/designs – Ocean, Tribe and Oriental Bird. Anywhere! 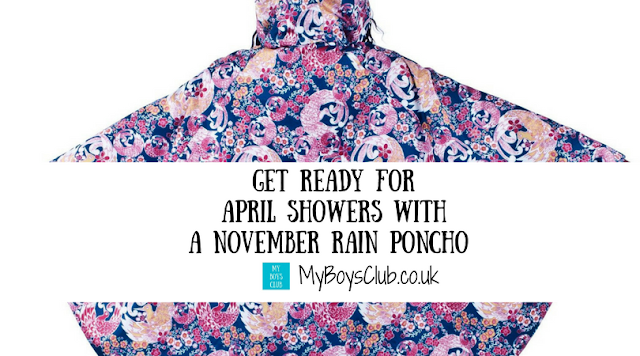 It will be perfect for travel, festivals, sporting events, football in the park and "just in case" it rains. Not only does November Rain use eco-waterless printing methods in production, it also pledges a full 10% of all revenue towards water projects in developing countries. Sales of the Poncho have already funded a hydroponic vegetable growing system at a children’s rescue mission in Northern Thailand. Find out more from the November Rain website. The November Rain Poncho retails at £49 and is available from Amazon in the UK. You can save 20% until the end of April 2017 by using the following code 6MT6ITVF when ordering making the purchase price less than £40. As I sit here waiting for a timely rain shower – a quick one will do and then I’ll gladly return to the dry weather. 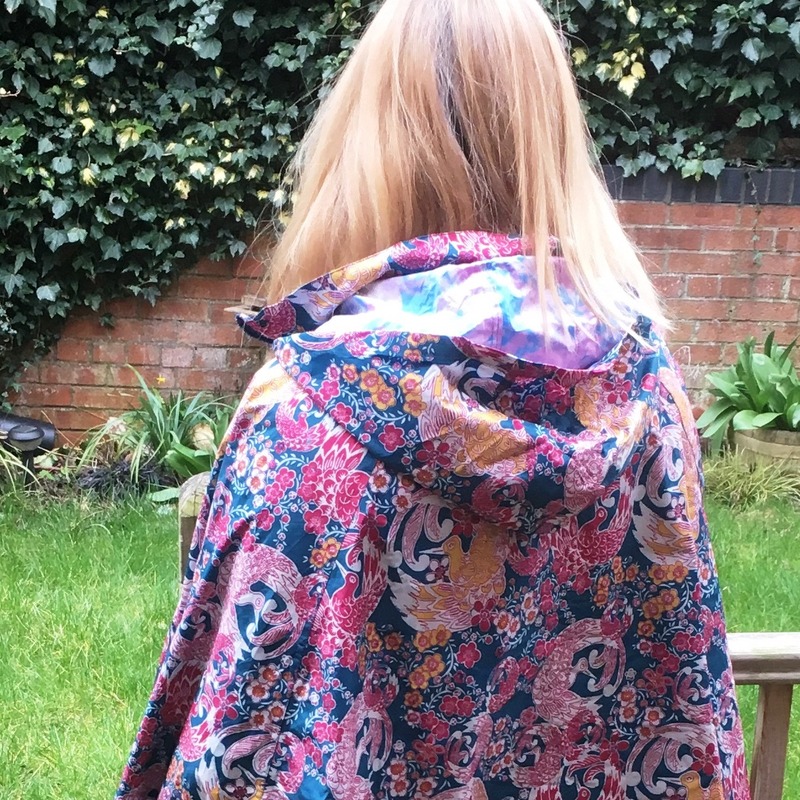 Anyway, I am very much looking forward to trying my new poncho out in the rain and will update this when it does! What's the worst thing about being caught in the rain? I love the poncho! so colourful and pretty!! Ideal to brighten the gloomy days! These are so nice and really practical too! This is adorable. I actually never thought of it being a plus to just shove it on over a changing bag etc but that is a massively good point. Very very tempted to invest!